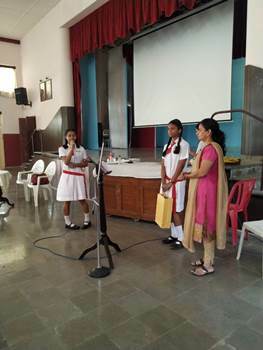 An interesting talk on health and hygiene was organised for the students of Std.8 and 9th . 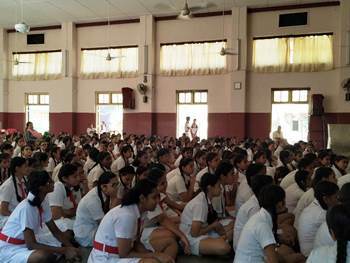 The speaker for the talk was Dr.Mrs. Nilambari Rane. 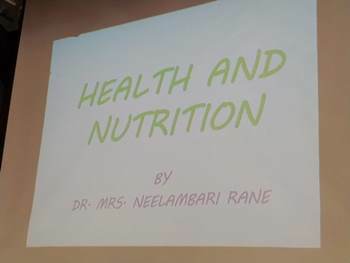 Dr.Rane spoke to the students on eating full balanced meals everyday.She said that the most important meal of the day is breakfast and one should not avoid it. Eating healthy food and exercising is of utmost importance. 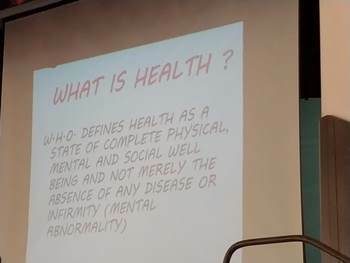 She encouraged the children to eat healthy food and be active, and said that one will find that one is more alert,has more energy, will smile more often,remember more and generally feel better about oneself if one avoids junk food. Dr.Rane ended her talk on an important quote by Benjamin Franklin “Early to bed and early to rise makes a man healthy,wealthy,and wise”. 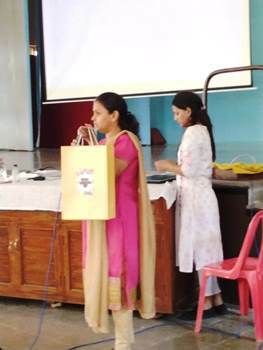 We thank her profoundly for the inputs given to our children on better eating habits.